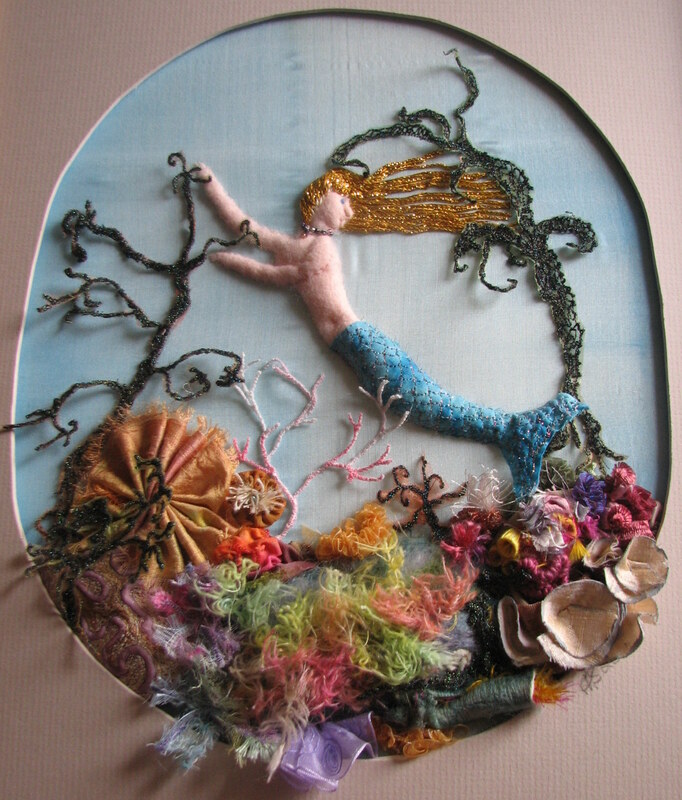 Inspired by the illustrations in children’s fiction in general and by Hans Christian Anderson’s story in particular, this piece combines hand and machine embroidery to create a 3 dimensional panel. 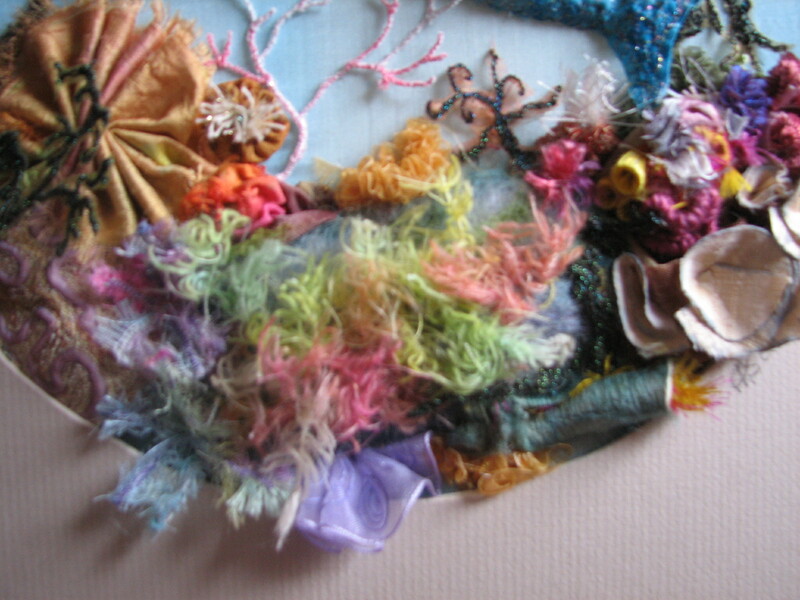 The coral reef incorporates a variety of techniques including fabric manipulation, needle felting, free machining on soluble fabric and ribbon embroidery. The picture below shows some of this detail.